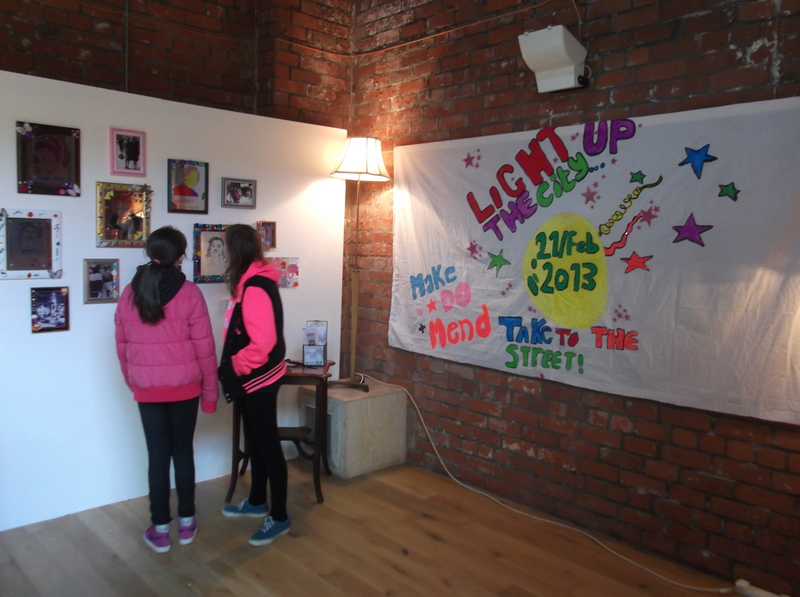 Make Do & Mend Exhibition – Now On! 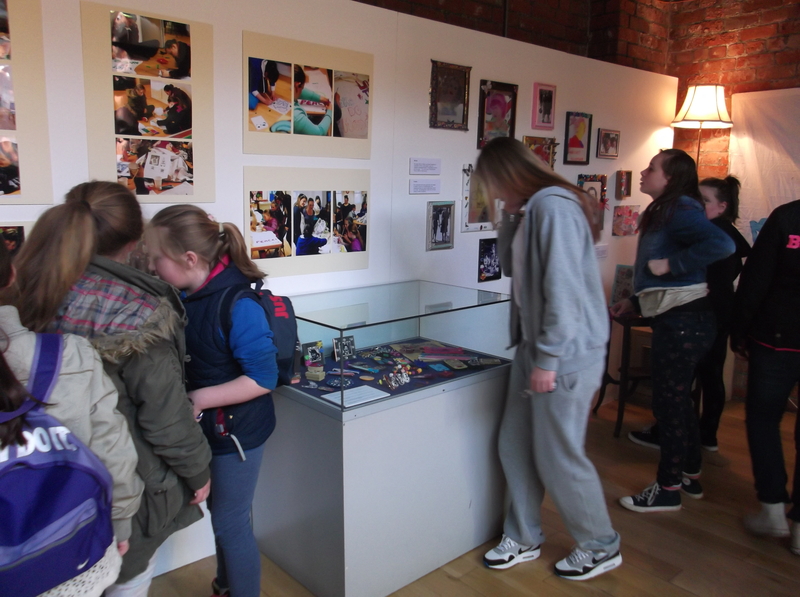 The exhibition of young women’s work from our Make Do & Mend project is now on at the People’s History Museum! 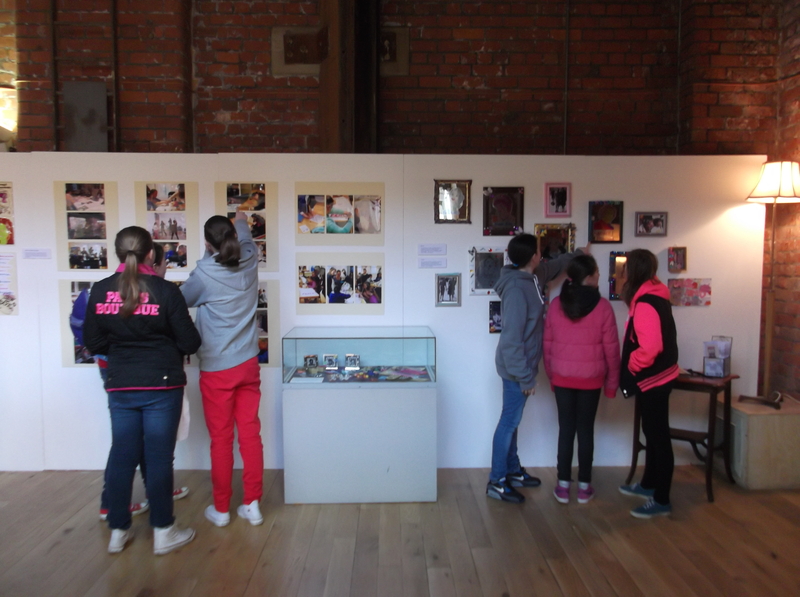 It will be displayed in the Accumulator Tower space until Tuesday 28th May so do go and take a look while you’ve got the chance – there are leaflets to take away and a visitors’ book to share your own comments and ideas in. 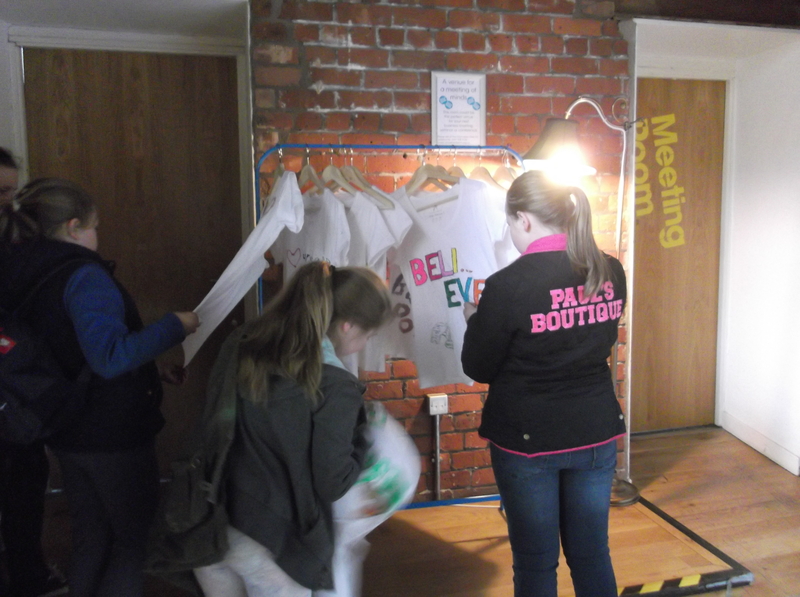 Here are some pictures of the girls surveying their handiwork to give you a taste of what’s on show! 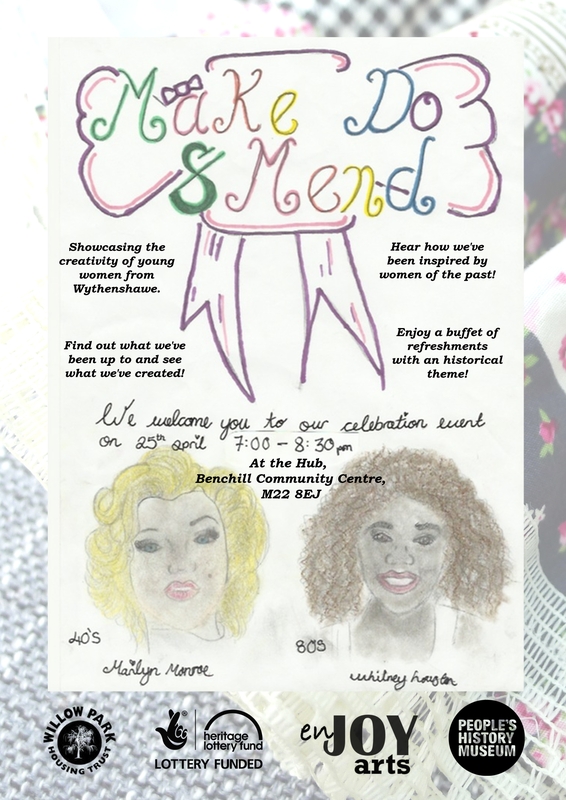 Check out the invitation the young people designed for their celebration event. 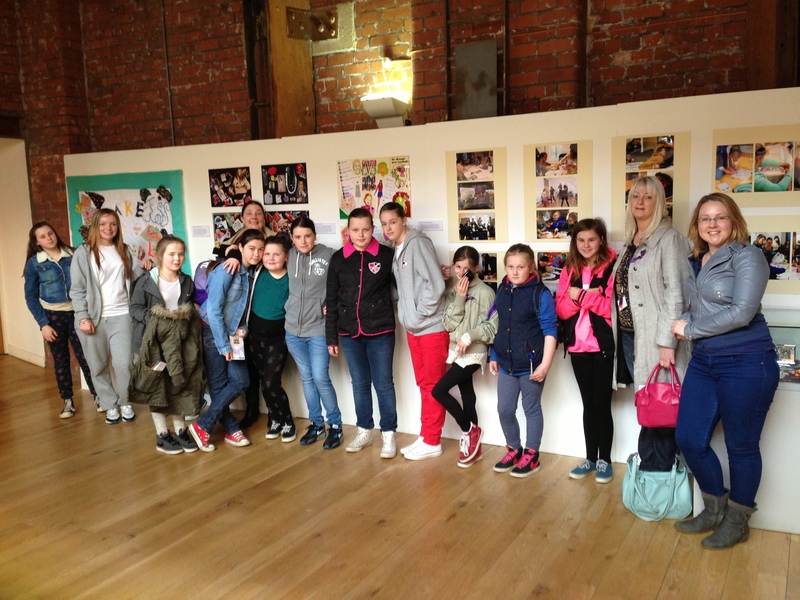 For more info about attending the event please contact us.